Thanks for this album. 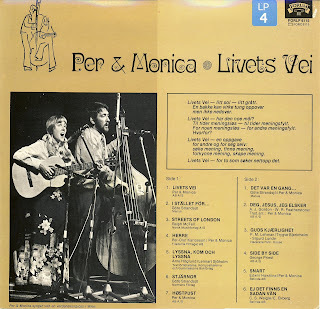 I made some research and it seems to be Norwegian not Swedish, although most songs are sung in Swedish. Per and Monica de Lange are a married couple. They still play together. When younger they had their three sons with them at gigs. They had a CD with title Hestehov a couple of years ago. Thanks for the additional info. I always enjoy discovering more about a group of artist. OK, here’s something more about them. 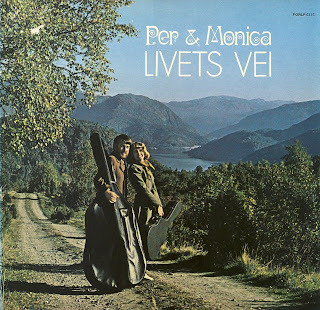 I am interested to know where I can purchase CD’s of Per and Monica’s music. I hear them sometimes on Christian Radio and love their beautiful harmony. The tracks you have listed don’t appear to match the ones on the back of the album jacket. The one you have listed is for Phoenix Sunshine’s Shinin’ in the Light.